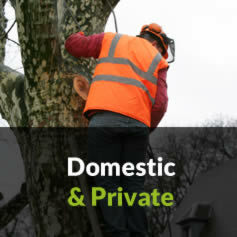 With an understanding of the importance of meeting our commercial client's expectations in terms of reliability and professionalism, our NPTC Forestry and Arboriculture Level 2 qualified team of arborists will respond to and complete your tree work quickly, efficiently and remove all felled wood to leave the area in a safe and clean state. 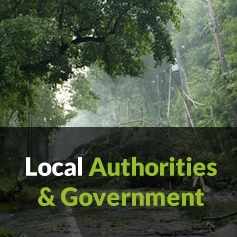 Should there be any need for local authority applications to be completed due to tree protection, we're also able to take care of that for you liaising directly with the local authorities. 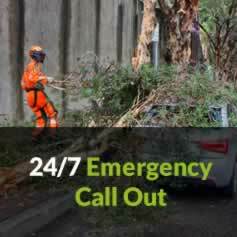 Once we have carried out your work in accordance with our thorough health & safety and methods policy, we will then carry out a complete site clearance to ensure your complete satisfaction. 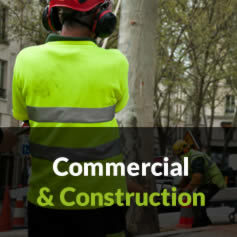 We have an extensive client list having worked for development, construction, landscaping companies, plus schools, hotels, tennis clubs, residential care homes, lettings management agents.